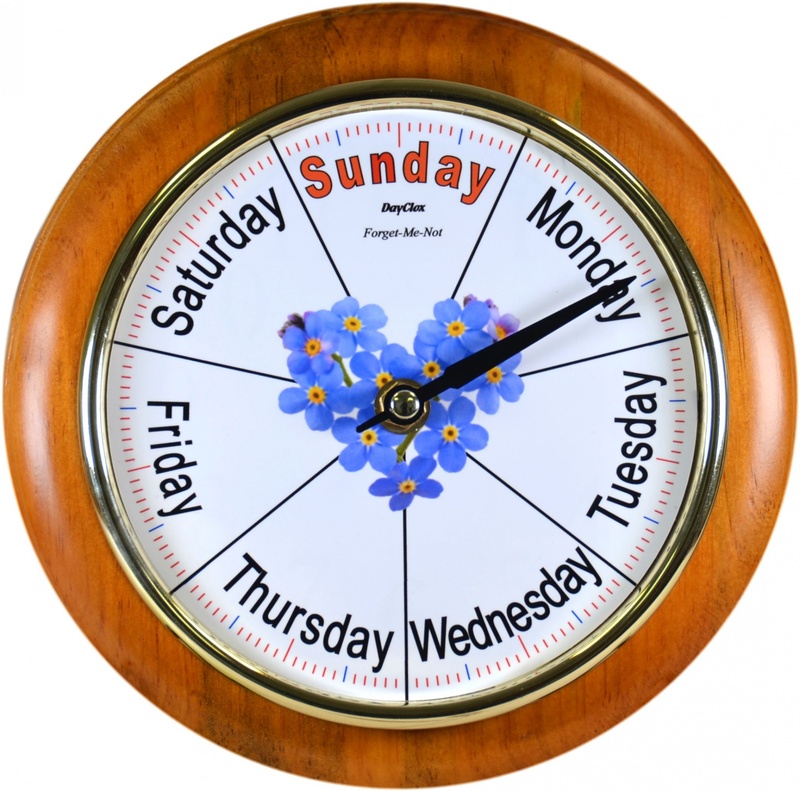 A NEW High Quality model of the ultra popular Forget-Me-Not without abbreviated days "Easy to Read" Day Clock. Note the heart shape of the Forget-Me-Not flowers. Mounted in a beautiful 8" Cherry Wood surround with a gilt bezel supporting an acrylic dome lens with a stylish metal indicator hand. Cherry Wood 8" (200mm) surround a 5.7" (145mm) acrylic dome lens secured by a gilt bezel. Acrylic dome lens to protect the dial from tampering and dust. Fitted with a special 168 hour quartz movement and metal indicator hand. 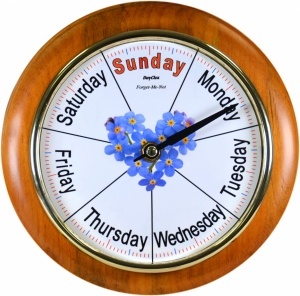 Ordered this for my Grandma as she was getting confussed with the days of the week. We love the forget me not flower in the center and it has made a real difference to her. Thank you for the great service and advice when I telephoned you. Thank you so much for taking the time to send us your feedback, it was a pleasure talking to you and we are delighted to hear that your grandma likes her clock. We like the Forget Me Not design too!